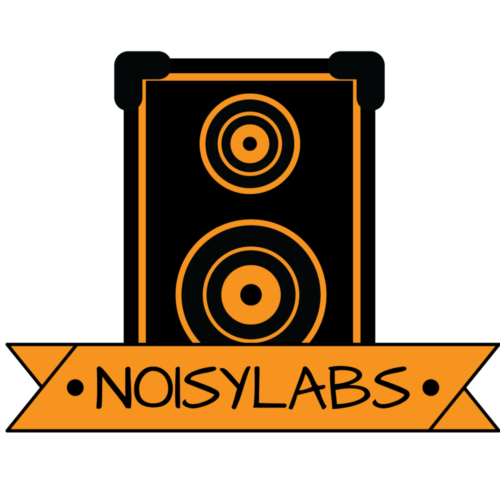 We’ve talked about kevlar and polypropylene speaker cones in our last post. For this next post, we’ll be talking about tweeters. The purpose of tweeters is to produce high audio frequencies. But as always, there’s always a debate for audiophiles. If you can’t tell already, this next debate is about dome tweeters vs. horn tweeters. While some say it’s the sum of the parts that matter, others say your sum is only as great as your weakest link. We agree with the latter. But how much does dome tweeters vs. horn tweeters matter? To find the answer we need to understand what we’re talking about. Tweeters are for high audio frequencies. Well, whenever you hear guitar strings, vocals, or anything high-pitched, that’s considered high audio frequency. Tweeters give balance to your listening ears. Unlike Bluetooth speakers, home speakers are built more for sound quality. Who wants to listen to heavy bass all the time? Sure it goes hard in the club and makes you want to bop your head like it’s on a swivel, but does it do anything else? Personally, vocals and heavenly horns stir up more emotions. Vocals make you relate to the song. Vocals make you remember the song. But more importantly, they make you understand the song. Horns, on the other hand, make you feel triumphant. Listen to the horns on this song. Now, imagine these horns combined with vocals. Another benefit to tweeters is it’s used for stereo separation and sound staging. Stereo separation means taking 2 music files and combining them into 1. Generally speaking, its the effect of sound coming in at different times through your sound system. Think of yourself wearing headphones. You’re listening to a song and you hear drums in the left ear while you hear a guitar in the other. Sound staging refers to getting a stage ready for entertainment. It’s done for movies or concerts. For speakers, tweeters make it seem like the sound is surrounded by a stage. They’re effective for those high pitches. But that high frequency takes balance. Its a balance between design and performance. Tweeters look like a speaker but they’re smaller. They’re usually placed below a speaker. 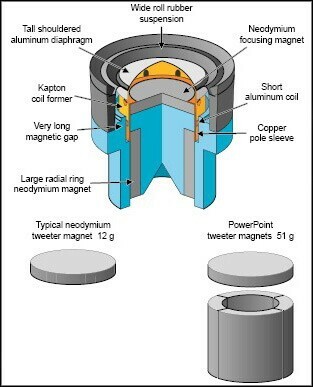 A tweeter is made up of multiple magnets and has multiple coils at the top. After the coils are a magnet and diaphragm. This is the general architecture of what a tweeter looks like. As for design, that depends on what type of tweeter you get. There is a lot of technology we take for granted. The way a tweeter operates is no exception. Imagine, electricity running down wires. The electricity runs from the wires all the way to the voice-coil and magnet structure. What results is a tweeter moving side-to-side, and sound waves releasing into the air hitting your eardrums in nanoseconds. When the volume pushes its limits though, the tweeter can have problems. As we’ve mentioned before, a tweeter needs balance. How does it achieve that balance? By being rigid, but fast and agile. It doesn’t take much to produce a high-frequency sound. Give a tweeter some watts and it’ll deliver. But we need it to be fast and agile to create high frequencies. It’s like a fighter who has to be strong, but quick enough to avoid getting hit. This is why most fighters aren’t too bulky and muscular. As for rigidness, tweeters need to be rigid so they won’t loosen up and detach. Heavy bass subwoofers are so strong at times it rattles the components inside the speakers. Loose parts in the speaker cause buzzing and popping. Examples of this are voice coils and magnets inside. When a tweeter gets a rush of electricity it gets hot. When you turn up the volume to be loud you’re making the tweeter really hot because of all the electricity going towards it. Two components which help against heat is the axiom titanium dome and the magnetic ferrofluid. The axiom titanium dome works because it conducts heat away from the voice coil. Next is the magnetic ferrofluid which baths the voice coil in liquid, cooling it down. These 2 components work like a self-governed prevention system. This is comparable to a fire system inside a regulated building. If a fire happens, the alarms go off, and the sprinklers release water. There’s no need for anyone to press a button. It happens because something is wrong. Now, that we understand how a tweeter works, let’s single in on dome tweeters vs. horn tweeters. There are 3 qualities a manufacturer is looking for when it comes to dome tweeters. Low mass is needed because manufacturers don’t want it taking up everything in the speaker, but its also needed because it has to be agile in its movement. How can something with huge mass move fast? Think of a tow truck with huge mass. Do we imagine it having blazing acceleration? 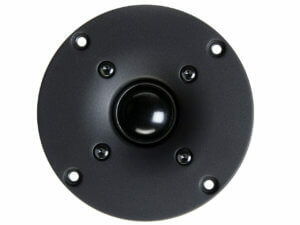 A dome tweeter needs low mass so it can move rapidly and produce high frequencies. In addition to that is high stiffness. As a generality, high stiffness is great for low distortion. This happens because when a magnet pushes up through a cone, the waves won’t be able to change the shape of the cone. If you’re curious as to what we mean by waves, we mean electromagnetic waves. If manufacturers go with “softer” materials like paper, then expect sound quality to worsen. The distortion from the electromagnetic waves will deform the cone around it. Its similar to a pipe or hose. If water has no clear path then don’t expect a clear result. But, like life, there isn’t always one decision to make. The downside to stiffness and what manufacturers have to worry about is resonance. A speaker’s resonance rating is important. Speakers have resonance ratings to make sure you don’t go over its limits. Its similar to how products have warning labels. It’s to make sure you don’t do something you’re not supposed to. To clarify, a speaker’s resonance rating is important so we’ll explain it as simple as possible. To relate resonance frequency to something, we’ll use relationships as a metaphor, because who doesn’t love a good romance story. Let’s think of the time spent courting someone as current in a speaker. In the beginning stages of a relationship, the more time you spend, the more chemistry you build. For a speaker, the more current you pump into it, the more volume you’ll build. But if you pump too much current into the speaker, you’ll hear a ringing which happens when you go over its resonance frequency. In terms of a relationship, if you put too much energy into it, then you’ll skip over other things that make you happy. On the other hand, if you don’t spend enough time, can you really call it a relationship? It’s more of an acquaintance. Bringing these two concepts together, what you need to make everything work perfectly is BALANCE. A speaker needs the right amount of energy put into it to optimize its abilities, but not too much, or else everything will start crumbling around it. To summarize, high stiffness creates much more resonance frequency which in turn creates ringing. This is the downside of stiffness and one reason dome-shaped tweeters aren’t perfect. Do Owners Have To Worry? When designers look at material for tweeters, they don’t just worry about how it can make sound better, they also worry about how it governs itself. Damping is the solution to this. Dome-shaped tweeters prove great for acoustics because of their sound distribution. But its this feature which makes it need more power. If a dome-shaped tweeter gets too much power to compensate, it’ll blow out and need damping. The amount of damping depends on the type of dome materials. For example, different alloys like aluminum and magnesium have low damping, but are light and stiff. This is another part where tradeoffs come into play. Can’t avoid them when engineering speakers. Dome tweeters vs. horn tweeters wasn’t always a rivalry because horn tweeters are older. Its like a hall of famer in basketball being challenged by a rookie. A rivalry usually starts when both competitors come in at the same time. Off-axis response causes sound dispersion to fluster. A horn tweeter is able to help sound dispersion by controlling the directivity of the tweeter. Directivity means how a speaker’s frequency response changes when it’s off axis. The better the directivity, the better the sound pressure levels are whether it’s on, or off axis. When the opposite holds true, sound pressure levels can either be really good, or really bad. And that goes whether it’s on or off axis. Another benefit to horn tweeters is higher efficiency. Speaker impedance is a natural occurence. Impedance affects how audio output will be, but with better efficiency, it’s not a problem. What makes horn tweeters great for impedance is it couples both speaker and air impedance. “Coupling” means 2 systems acting as 1 system. 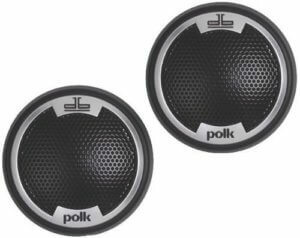 When this happens, the speaker increases its decibel strength and it has more of an effective cone area at low frequencies. The catch is the horn has to be large enough so the coupling with air works. Smaller horn tweeters wouldn’t work because it wouldn’t allow lower frequencies. These lower frequencies are an advantage because they require less energy to travel to their destination. This is great for the speaker because it doesn’t need more watts to create the same result. Not only is this great for the speaker, but the owner doesn’t have to worry as much for overloading against the amplifier. Both dispersion control and higher efficiency are great advantages. But some would argue since the horn tweeter is an outdated model, it comes with more disadvantages. Have you ever looked at a red screen and looked away, and all you saw was red? This is the effect coloration has on people’s eyes. But you want to know something else? “Coloration” also happens with speakers. Coloration is when a speaker has an identifiable sound. There are some speakers, especially horn tweeters, who have an identifiable sound. The best speakers don’t have this problem. But its a common occurrence among horn tweeters. The reason behind coloration is because of blending sounds. A common reason why this happens is due to the range of frequency a speaker has. For example, a speaker always in the 1kHz-2kHz range will have a “nasally” sound to it. Combine that with music and that’ll cause the blending of sounds. This happens a lot and is the reason for the next section. Imagine a horn on a boat. When that thing goes off, it goes on for a while, and it’s loud as hell. Personally, we hate horns unless it’s brief. Now imagine that with your horn tweeter. Horn tweeters are great for emitting high frequencies. But the problem is its greatest strength is also its downfall. Always listening to high tones like vocals or horns will make your ears bleed. This is why listeners mention listening fatigue with their experiences of horn tweeters. In this post we listed some downsides for each tweeter. Dome tweeters had one downfall and it was its stiffness. For horn tweeters, it had 2 downfalls. And if we’re going to be honest, those qualities can be combined into 1, but we wanted to go more in-depth. Although horn tweeters have their time and place, we believe dome tweeters are better overall. It doesn’t depend on its size and it’s more durable. Sound qualities differ because horn tweeters are built more for high frequencies. Dome tweeters are built for more balance in its frequency. If you have a limited budget then we suggest going with a dome tweeter. It’ll be easier on your guests. For all those audiophiles out there let us know what you think in the comments below! Tell us whether you agree or disagree on our pick. Good quality dome speakers are also great like the ones from monitor audio’s silver series. 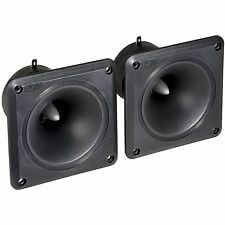 In a surround system dome tweeters are better because you want that dispersion so you cannot hear the sound coming from a particular speaker it just sounds like it surrounds you instead.